I know I know, I'm harping on a bit about Chanel a bit, but I just love their makeup, and I feel that the Christmas collection this year is particularly noteworthy. A quick digression on arrival: the collection was late on stand in Dublin, and it wasn't exactly front-and-centre for a few days. Cork got it late also. It was worth the delay. 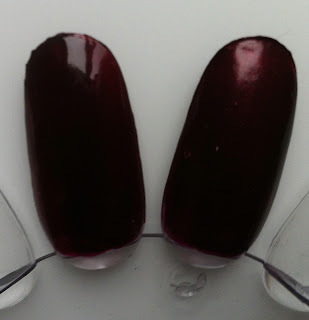 Le Vernis in Malice is gorgeous; it's a lot darker than I'd thought from the press releases; it's actually the exact shade of burgundy that I love (more on my burgundy obsession here and here); a dirty oxblood-brown-plum burgundy. It is shot through with a gorgeous raspberry-red shimmer and has a very slightly blackened duo-chrome aspect. I've worn this a lot over Christmas. there's actually very little in the difference. The Poudre Universelle Libre in Rêverie. Drooooool. This is the one I was waiting for. 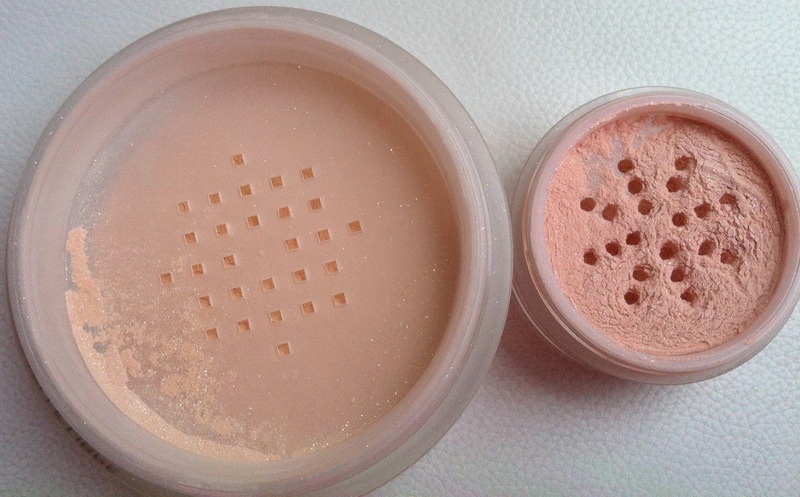 Féérie (from last year's Christmas collection) was just too pink/silver for my colouring, so I rarely used it. 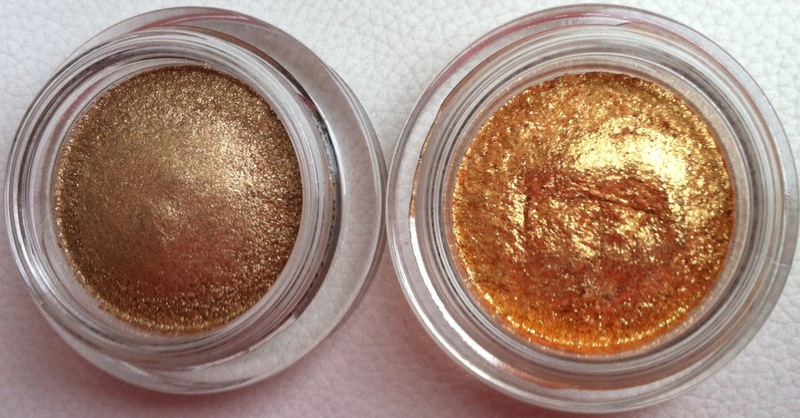 Rêverie, on the other hand, is more of a warm beige/champagne base (with gold and silver micro glitter). I am just going to love this one. I have used every single excuse known to man to wear this over Christmas; in my hair, on my arms and décolléte, on my cheekbones, pressed over eyeshadows, even over lipstick. Yum Yum Yum. 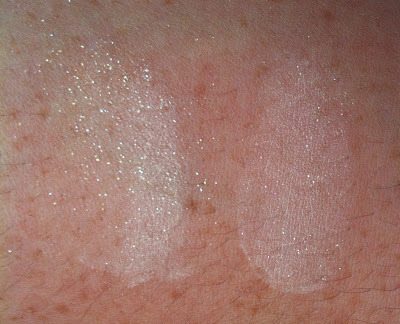 Note that if you missed out on Féérie last year, and Rêverie doesn't suit your colouring, I recommend that you check out the new Joues Contraste blush from the collection, it's called Star Dust and I had thought (from the press release photos) that it was going to be a peachy pink shot through with gold - nope; this is basically, from what I can see, a pressed powder version of Féérie. The Rouge Allure Velvet, l'Impatiente is supposedly the iconic Rouge Noir, "re-invented", which is a reasonable description. 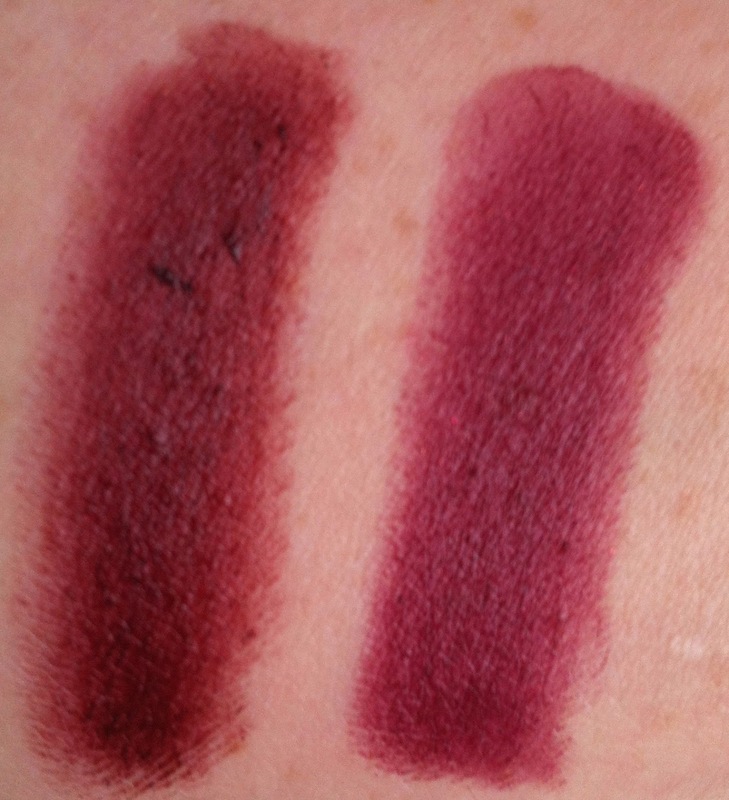 Swatched side-by-side with Rouge Noir, you can see that Rouge Noir is slightly more brown-toned and l'Impatiente, more plum-toned. I love the colour, but my main gripe is the formula of this lipstick; it really needs lips to be well moisturised and definitely wears better over a lipliner applied all over the lips - and either way it doesn't wear very well - it fades, inconsistently, and can appear quite patchy. 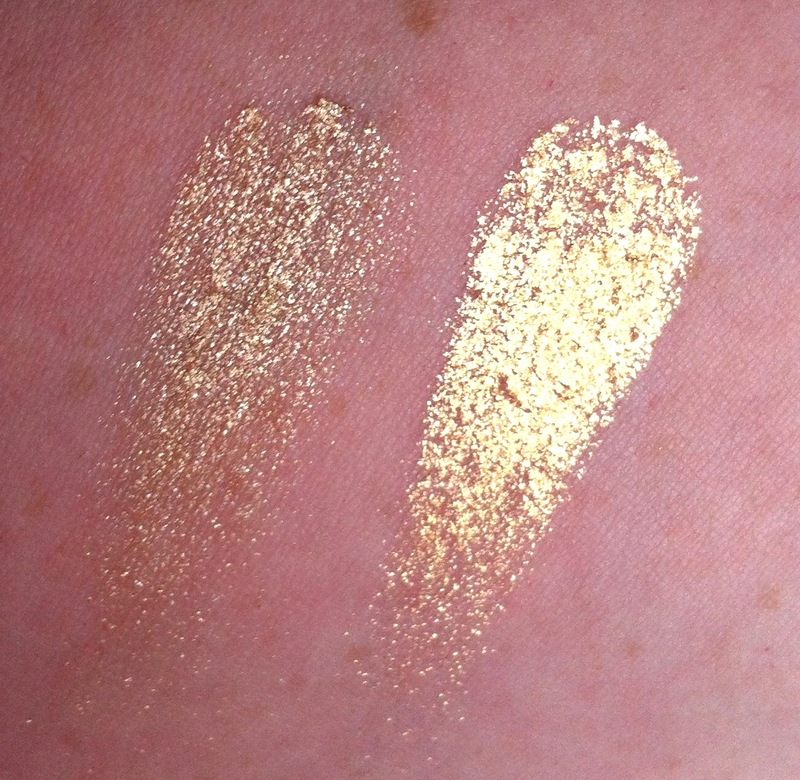 The Illusion d'Ombre, Apparence is a dirtier, cooler-toned, more muted gold than Vision (released over the summer), which is more of a vivid, yellow gold. If I'm honest, I love the Illusion d'Ombre formula and shades so much that I just got this to have the set ;-) - I can see myself using it alright but possibly not as much as the more yellow gold; although for the winter-time, and to contrast with the "four Bs" (blacks, browns, bronzes and burgundies) I can see Apparence working better. It's also more muted and possible to get away with for day wear. 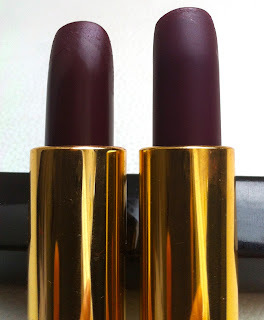 (Non-purchase) Ombres Contraste Duo in Nuit-Claire. I didn't bother with this . It was one of my "possible purchases". 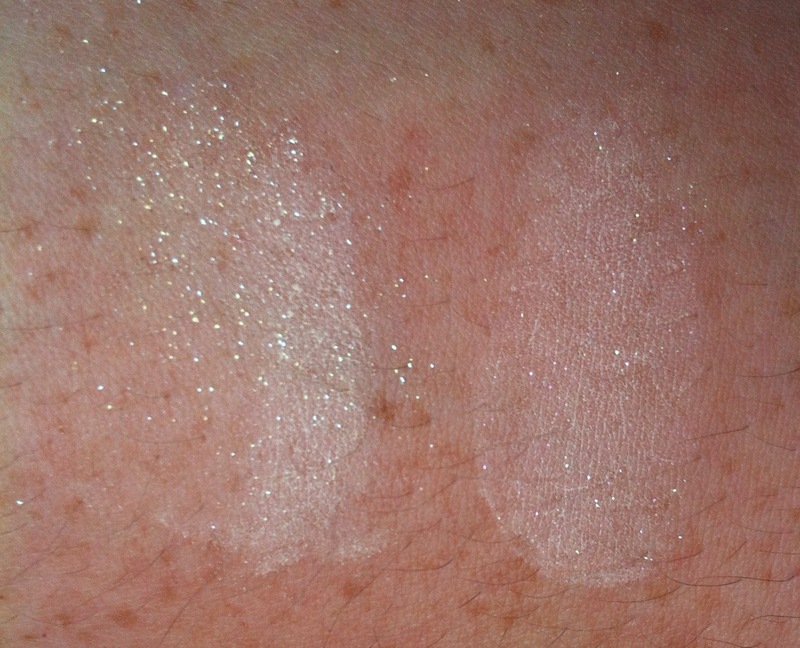 I looked, I swatched, I wasn't terribly interested. Beautiful 'n all, but I already have equivalents. Pass. (Non-purchase) Regard Signé de Chanel in Harmonie du Soir. This one didn't even make it on to my list. 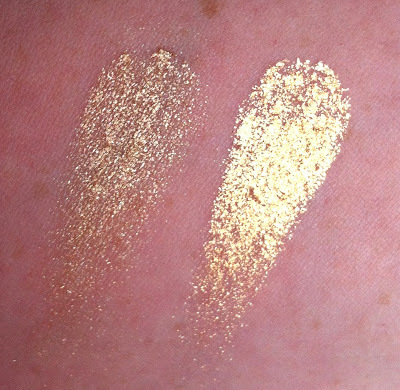 I am not the biggest fan of eyeshadow quads in general unless they're something particularly special; I have so many eyeshadows that I can pretty much make up my own dupes of most quads around, but the new quad with this collection, Harmonie du Soir is droooooolsome. 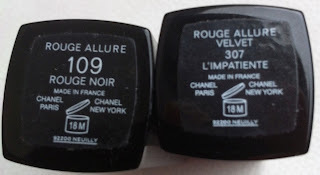 I was sorely tempted, but decided to Get A Grip and walk away from the counter at that point :-) If you're a fan of quads, or Chanel eyeshadow in general, and don't mind forking out €52, you'll love this one. All warm toned "comfort" shades in bronze, plum, taupe and pink (the pink is the coolest of them all but they're just gorgeous). It came down to a fiscal choice; the quad or the loose powder. No contest for me personally, but I know some friends who purchased and love it.